Posted February 10, 2015 by Norburn Lighting and Bath Centre & filed under New Products . New Product Showcase – The Melrose Collection from Savoy House. The Melrose collection features simple lines, soft curves and stylish details that create a beautiful fixture. The Satin Etched White Glass create an architectural element to this fixture. 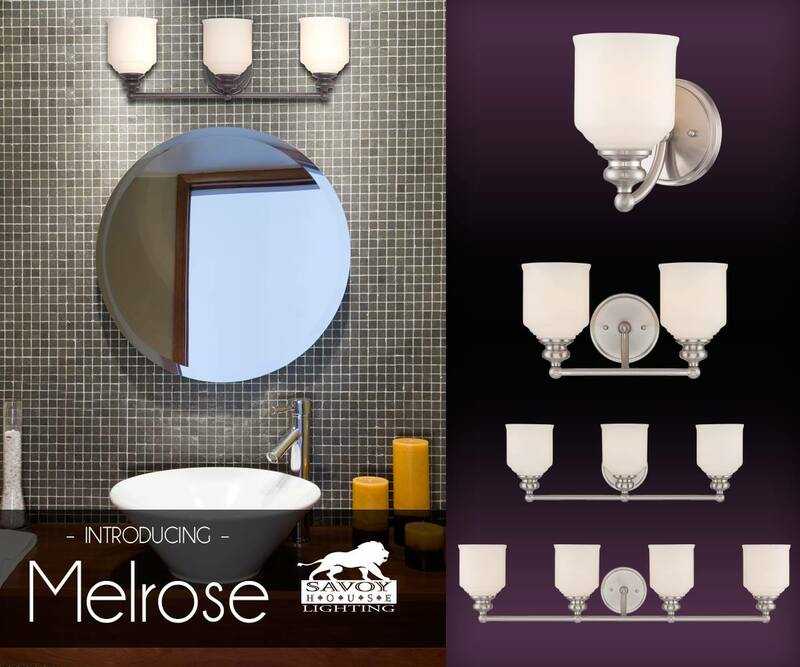 Available in an English Bronze, Satin Nickel or Pol Chrome finish, Melrose will make a statement in any space. Posted February 9, 2015 by Norburn Lighting and Bath Centre & filed under New Products . Savoy House has established itself from the competition with superb craftsmanship and a dedication to delivering items of enduring beauty, a treasure which transcends the current fad or fashion. We constantly search the globe for talented artisans who are passionate about this industry, and we are pleased to feature the following additions to our showroom. Retro minimalist flare, the Elgin collection from Savoy House. 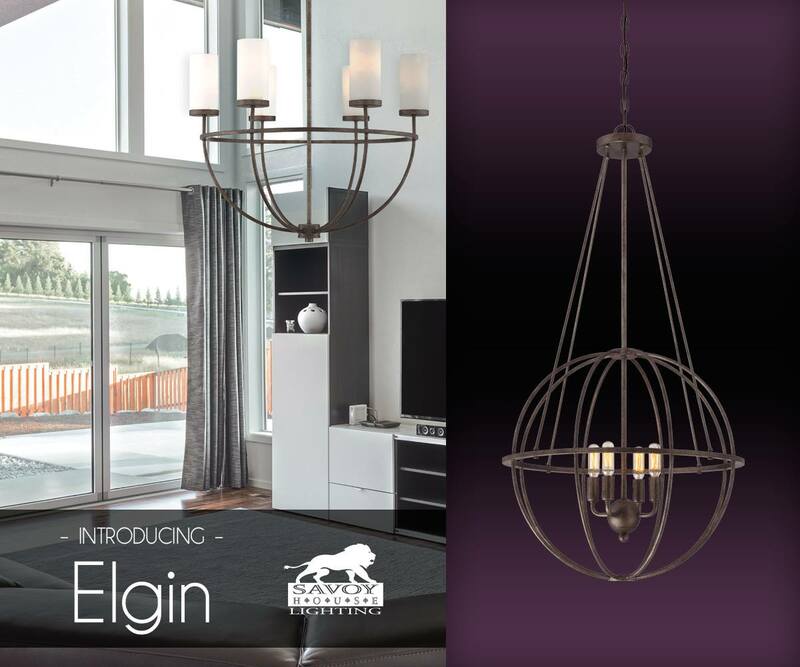 The Elgin 4-light pendant showcases a classic sphere-shaped style shown to full effect with 4 vintage filament bulbs! The Galaxy Bronze finish adds shimmer and shine.